“Stuck in a Moment” – Hayley wants to give the family a Christmas gift they will never forget if she can just figure out the perfect time. 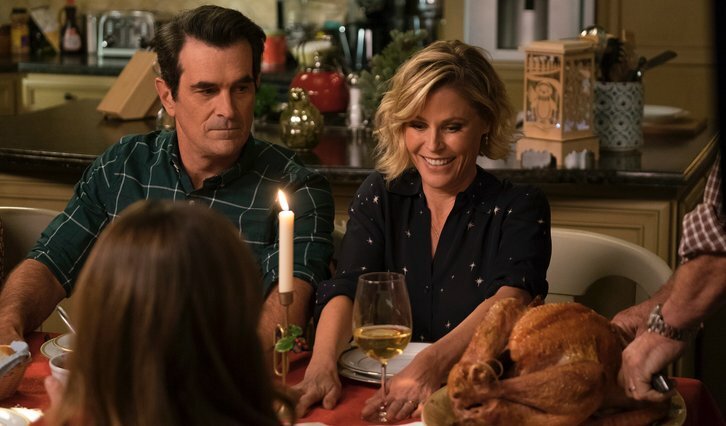 Meanwhile, Claire is mad that Phil has once again borrowed the family Christmas tree for a house-showing; and Jay, Gloria and Joe have to deal with some unwelcome visitors over the holidays, on “Modern Family,” WEDNESDAY, DEC. 12 (9:00-9:31 p.m. EST), on The ABC Television Network, streaming and on demand. Guest starring is Reid Ewing as Dylan and Marcello Reyes as Cal. “Stuck in a Moment” was written by Elaine Ko and directed by Fred Savage.